After a lengthy period of time off work, an Ontario school board failed to accommodate a teacher's return to work within a suitable time. An arbitrator found the school board to be 80 per cent liable for the delay in returning the teacher to work and also liable for $7,500 in damages for injury to dignity, feelings and self-respect. PA, a teacher, was on medical leave from 2000 to 2007, at which point he was approved for a gradual return to work in a low-stimulation and low-stress environment with low student numbers. Over the next two years, further medical reports and tests were required and further recommendations were made as to ongoing accommodation of his limitations. At a return-to-work meeting in January 2009, the recommendations as to further accommodation were approved but the employer had not searched for any suitable positions. In March 2009, the school board informed the union that there were no suitable positions available. The union and PA filed a grievance and a human rights complaint. In April and June 2009, much to PA’s chagrin, non-academic positions were discussed, such as a janitorial position. An offer was eventually made to place PA in a position at another facility. Negotiations unexpectedly halted in May 2010, when the union wanted the human rights complaint covered by the memorandum of agreement (MOA) being negotiated at the time and $200,000 in lost income to settle the complaint. On June 15, 2010, unilaterally and without a formal MOA, PA was placed in a one-third workload role. Over the next few years, PA incrementally increased his workload. The school board sought further medical information that was eventually received after great delay from the union. When PA later requested full-time employment, the school board stated that it could not operationally accommodate the request and wanted to first assess PA’s performance at his current capacity. There was a further delay in providing medical information by the union. 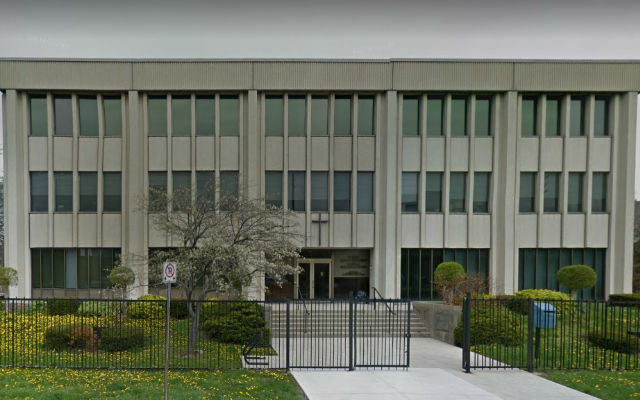 As a result, the union brought another grievance alleging the school board had discriminated against PA and sought compensation for lost earnings and pensions accrual between 2009 and 2012, $20,000 in damages for injury and loss of dignity, and $10,000 in punitive damages. As it was undisputed that that PA was disabled, the arbitrator stated that the “sole issue before [him] is whether (PA) was accommodated as and when required.” Amongst other duties, it was highlighted that the duty to accommodate rests primarily on the employer but the union also has a duty not to impede resolution, and to facilitate implementation of reasonable accommodation such as providing the necessary information. Contrary to its protestations in this instance, it was highlighted that the employer had a long history of accommodating employees in above-complement positions, and the onus was on the employer to demonstrate undue hardship. They did not present evidence establishing undue hardship. Further, the option of an accommodated position was not even initially considered by the board. The employer failed to accommodate PA during this period. PA was awarded $7,500 in damages for injury to dignity, feelings and self-respect and an award of loss of wages from February 2009 to Oct. 31, 2012, less one month for the negotiating of the MOA. The employer was found 80% responsible for the delay in returning PA to full-time appointment. When an employee is on a return-to-work plan, the employer must act sincerely, in good faith and in a timely manner to accommodate the employee’s needs. However, accommodation requires co-operation between parties in order to find an appropriate resolution. The arbitrator’s decision to apportion liability in recognition of the union’s delay is a good reminder that either side’s contribution to a failure in accommodation can lead to enhanced liability or a reduction in damages. There are many ways that the various considerations in accommodation cases can be advanced in a timely way, keeping the other party engaged so that timely steps and resolutions are achievable. Evie Thorne is an Edmonton-based lawyer, practicing in the areas of labour and employment, human rights, and general litigation with Field Law. She can be reached at (780) 643-8753 or ethorne@fieldlaw.com. This article has been published with the permission of Field Law, and may be republished only with the consent of Field Law. "Field Law" is a registered trademark of Field LLP.